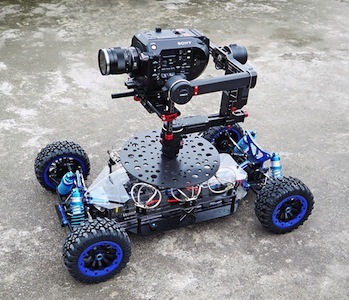 Ursa Mini 4.6K Mounted to CAME-TV SailFish RC Gimbal Car. Posted in Instagram FEED. Tags: blackmagic design ursa mini, CAME-TV, cametv, Gimbal Car, prodigy gimbal, rc car gimbal, sailfish gimbal, sailfish rc car on September 16, 2016 by Cheesycam. 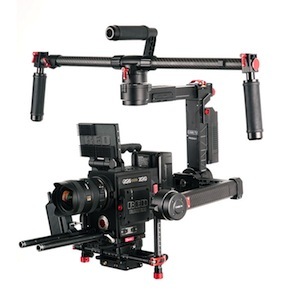 If you've ever struggled to balance cameras such as the Sony FS7 or Blackmagic Design Ursa Mini into a DJI Ronin , then your interest will be peaked by the new CAME-TV Prodigy Gimbal. 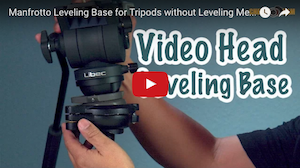 It's a physically larger gimbal with a deeper, wider, and taller frame offering up a lot more room to balance these types of cameras. 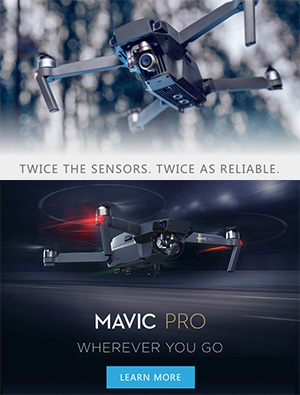 Yet despite the larger size, the Prodigy Gimbal is almost a full pound lighter than the full size DJI Ronin (not to mention less expensive too). Here's an unboxing of what comes with the new CAME-TV Prodigy Gimbal and a quick demo of the Ursa Mini placed on the system. 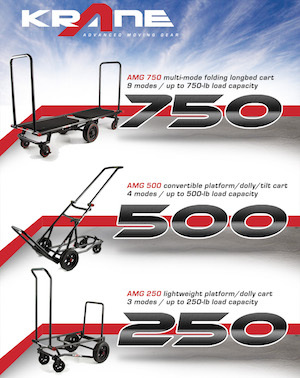 The system comes with a nice rolling hardcase with durable dense custom cut foam. The battery system is powered by (4) 18650 Batteries which doesn't lock you into propriety batteries if you need more run time. Balancing the system requires no tools, and there are plenty of fine tuning knob adjustments to get the balance perfect. Just like their Mini3 and ARGO Gimbals, there is a built in wireless video transmitter. On the frame is a 15mm Rod Clamp for you to attach accessories such as a wireless follow focus. 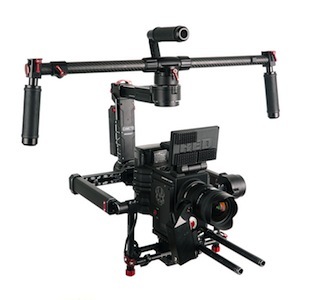 It comes ready with a wireless joystick, and also a Quick Mount Plate to attach the CAME-TV Prodigy in creative ways (like under a jib or RC Gimbal Car). 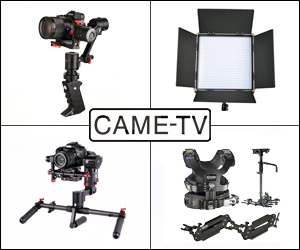 The Prodigy is the latest and LARGEST gimbal CAME-TV has made to date. The final production version is even larger than what was shown at NAB2016. It was designed specifically to resolve the issues of balancing these larger camera bodies or cameras with heavier lenses. The Prodigy is available to order now at the CAME-TV Website (click here). Posted in dslr video. Tags: BlackMagic Design, came-tv prodigy gimbal, cametv, fs7 gimbal, Gimbal Car, prodigy stabilizer, red dragon, red raven, Red Scarlet, SailFish RC Gimbal, ursa gimbal, ursamini on September 15, 2016 by Cheesycam.